The second round of the 2018 MRF FMSCI Indian National Rally Championship, the Rally of Coimbatore sees Gaurav Gill and co-driver Musa Sherif currently in the lead of the event after the first day of rallying. The Team Mahindra Adventure duo won both special stages, allowing them to move to the top of the timing sheets, with a time of 37min 21.2sec. 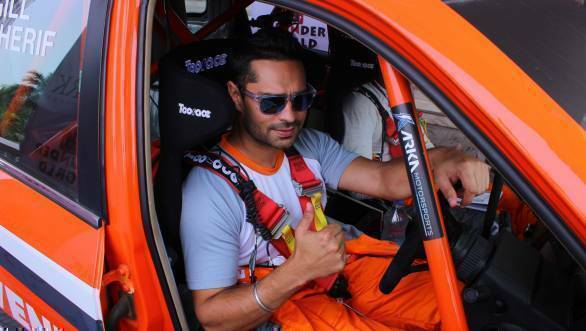 Currently ranked second in the timing sheets is Gill's team-mate Amittrajit Ghosh, with co-driver Ashwin Naik. Ghosh completed the stage with a time of 37min 42.8sec. "I feel very good about my driving at the moment," Amit said. "I am handling the car a lot more smoothly and am hopeful of continuing in the same vein tomorrow," he added. Given that Ghosh is merely 21.6sec adrift, there is still a possibility of his winning after the final four stages of the rally on Sunday. Meanwhile, Gill, overnight leader of the rally who is currently competing in the 2018 WRC as a non-priority driver in the WRC2 class said, "It was one of the longest stages that I have seen, with a lot of flat grounds with a corrupt stuff but we came through nicely. Tomorrow we will get into proper rough pits and hope to continue in the same vein." Third place overall after the first day's rallying went to Karna Kadur, co-driven by Nikhil V Pai, of Arka Motorsports. The duo clocked a time of 38min 18.5sec, which was also enough to see them at the head of the INRC2 leaderboard. Bopiah KM and Phalguna Urs occupied second and third place in the timing sheets in the category. In the INRC3 category, it was Vikram Rao Aroor, with Somayya AG as co-driver, of Falkon Motorsports, who took the lead. Defending INRC3 champion Dean Mascarenhas failed to finish the second stage with a mechanical failure, thus relinquishing his second place in the standings to Suhem Kabeer. Chetan Shivram ended the day third in the standings in the INRC3 class. 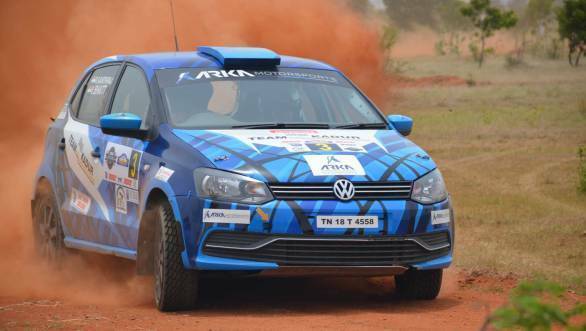 Returning to competitive motorsport after a gap of 25 years, Akbar Ebrahim, FMSCI President, ended the day 21st in the Volkswagen Polo R2. INRC: 1) Gaurav Gill/Musa Sherif (Team Mahindra Adventure; 37:21.2); 2) Amittrajit Ghosh/Ashwin Naik (Team Mahindra Adventure; 37:42.8); 3) Karna Kadur/Nikhil V Pai (Arka Motorsports; 38:18.5). INRC 2: 1) Karna Kadur/Nikhil V Pai; 2) Bopiah KM/Karumbaiah G; Team Champions; 38:58.2); 3) Phalghuna Urs/Srikanth Gowda; Snap Racing; 39:00.1).